Some priests told us to avoid naming a word 'demon,' and that Christians should not call others as demons because it comes from unrighteous anger. According to some reports on social media, CBCP President Socrates Villegas believes that people who called Mr. Trillanes as a 'Living Demon' are mad people because they are angry of him. That's the reason why haters called him this demonic name. 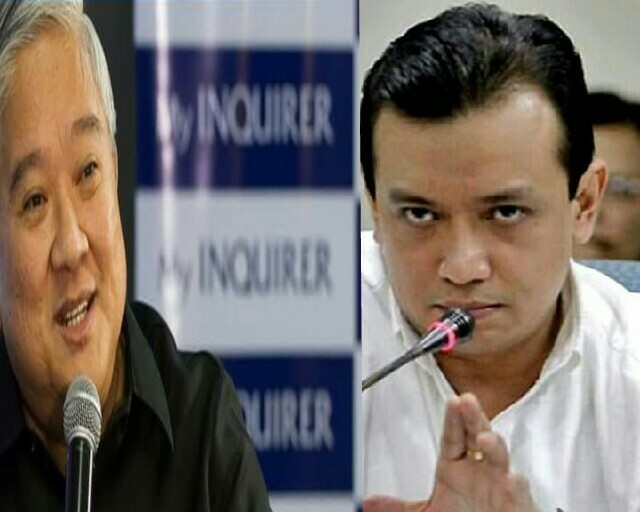 However, netizens reacted to this issue that it is OK for Trillanes to call President Rodrigo Duterte as a corrupt and a killer, but why they could not call Trillanes as a liar and a 'living demon.' Is it really a sin to call Trillanes this name? In a blog post of Mr. Alon Calinao Dy, he said, "Even Jesus Christ has said the word fool and other names for as long as a person is speaking the truth. I don't know why the truth always hurts someone." The problem with Mr. Trillanes and Archbishop Villegas Socrates is that even people see something wrong with the way they oppose to Duterte administration, they are fool not to see better change that the President is doing to our country. Is this a big insult to Mr. Trillanes? I don't think so because it has a just call for naming someone hypocrite or calling him this way because of demonic ways. Refrain from being insulted if it all speaks the truth.